Our product range includes a wide range of lifting disperser, dual shaft disperser, high speed lifting disperser, twin shaft disperser and twin shaft dispensers. We are an established manufacturer and exporter of Lifting Disperser used for premixing of enamels before passing through sand mills, finish paint blending and dispersion of water based emulsions etc. Batch these dispensers are featured with Hydraulic lifting, Chain block lifting and Wire rope lifting arrangements. 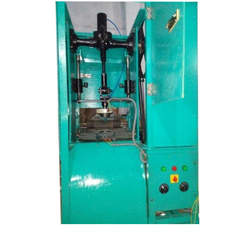 We are an established manufacturer and exporter of high speed dual shaft disperser used for premixing of enamels before passing through sand mills, finish paint blending and dispersion of water based emulsions etc. 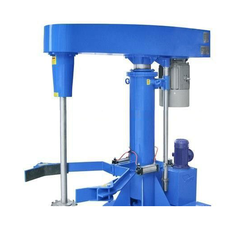 Batch these dispensers are featured with Hydraulic lifting,Chain block lifting and Wire rope lifting arrangements. We are an established supplier of high speed Lifting disperser used for premixing of enamels before passing through sand mills, finish paint blending and dispersion of water based emulsions etc. We are engaged in manufacturing and supplying superior quality Twin Shaft Disperser that are designed as per the specification of the clients. Our products are used for production of paints, inks, coatings & construction chemicals. 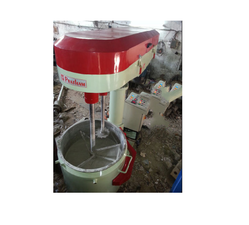 Twin shaft disperser are extensively used in paint industries as a part of mixing plant. These dispersers can effectively mix high viscous metals at different temperature and different atmospheric conditions. 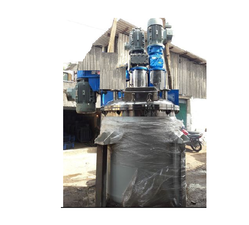 Twin shaft disperser consist of twin blades or shafts that move at different speeds to mix the carrying materials properly to give a wet mass. 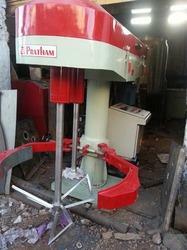 Looking for Industrial Disperser ?